Description: Collecting things from above the sea is this mermaid`s favorite past time, but she always seems to lose them, will you help her out? Search every corner of her room to find the missing objects so she can get dressed up for an underwater party. 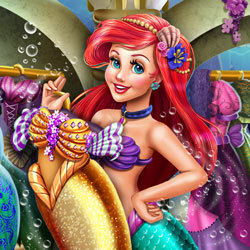 Pick an elegant gown for the mermaid princess and accessorize with the finest pearls to complete the quest.